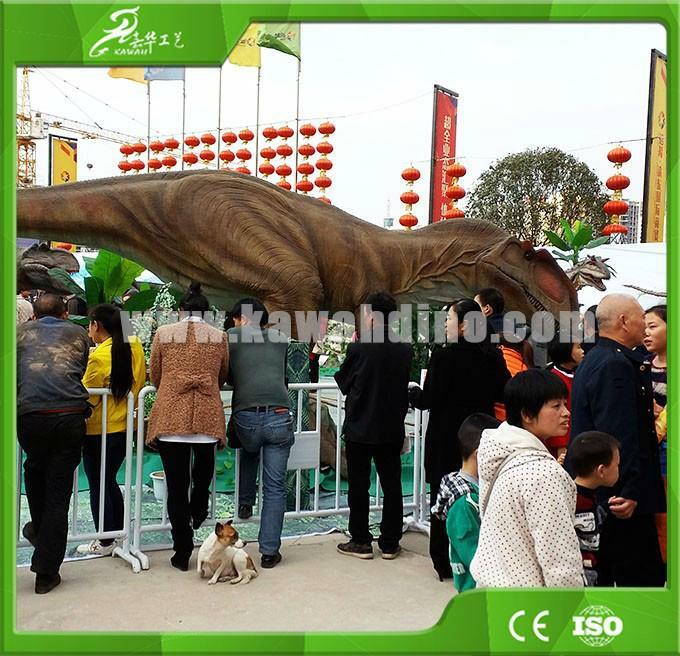 Application Theme park, amusement park, dinosaur park, restaurant, business activities, real estate opening ceremony, dinosaur museum, dinosaur playground, shopping malls, educational equipment, festival exhibition, museum exhibits , playground equipment, theme park, amusement park, city plaza, landscape decoration, etc. Customized All Kinds of Dinosaur can be Customized. High Density Foam, Advanced Silicon Rubber, Quality Steel Frame, Motor etc. - Mechanical Frame: Stainless steel and brushless /brush motor can keep dinosaurs many years. Each dinosaur mechanical frame will be continuous operated testing 24 hours before modeling. - Modeling: High density foam ensure the model more meticulous. - Painting: Painting masters painted dinosaurs upon customer's special requirement. - Final Testing: Each dinosaur will also be continuous operated testing one day before shipping. - In Stock: We keep more than 15 sets of dinosaurs available in stock . - Packing & Shipping: Bubble bags protect dinosaurs from damaging. PP film fix the bubble bags. - On-site Installation: We also send engineers to customer's place to install dinosaurs. - 10 years of manufacturing experience. - 5 years of export experience. - We always welcome our customers to visit our factory. - Customers can see all dinosaur manufacturing workflows. - Engineers can be sent to help install dinosaurs. the air flowing and operating without friction. design, site effect design, circuit design,complete supporting facilities design etc. Light effects, Lightning effect,Logo design,door head design,fence design etc. reinstallation.Warranty parts: Dinosaur whole body and accessories. Packing: Bubble bags - Specially protect eyes and important parts. Shipping: Shenzhen, Chongqing, Shanghai,Guangzhou,etc. Transportation(By air/sea/Train) is upon customers’ requirement. A.Can you models be customized? 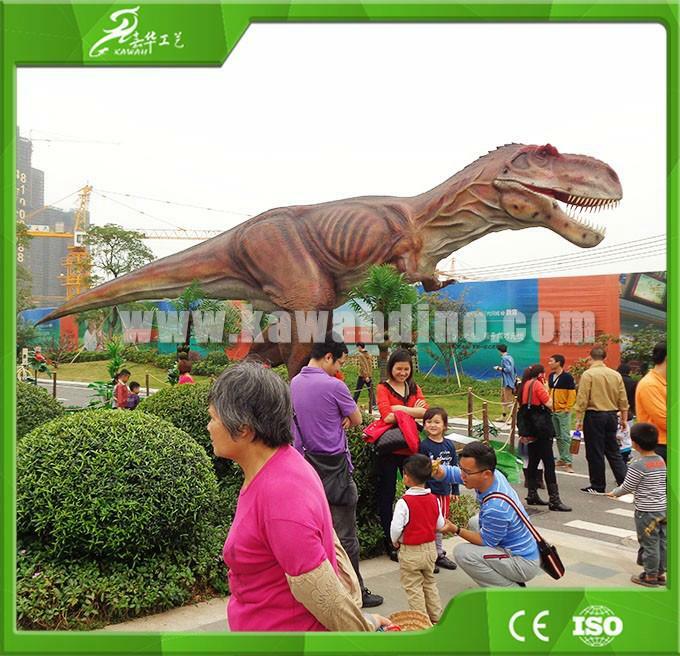 Q:Yes, Our model`s size,color,movements,shape all can be customized as customer`s requirements. Q:12 Months (After the warranty,we can provide life-long repair service). A.Can they operate well out side in the Rain and Sunshine? Q:Yes,as we have special materials on the skin of the dinosaur to protect them from water,sunshine. A.Can you produce any other kinds of Dinosaur/Animal? A.Do you provide on-site installation? Q:Yes, We could send engineers to customer’s place to install dinosaurs. Is there any products that meet your demand? And let us know your inquiry,we will offer you specific customized service. Zigong Kawah Handicrafts Manufacturing Co., Ltd.